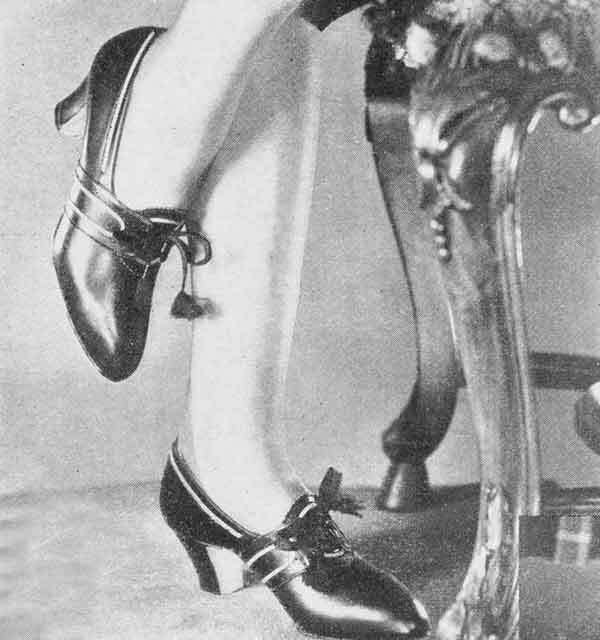 Firstly, no summer season pair of heels is complete without a pair of extra fine gauge stockings. 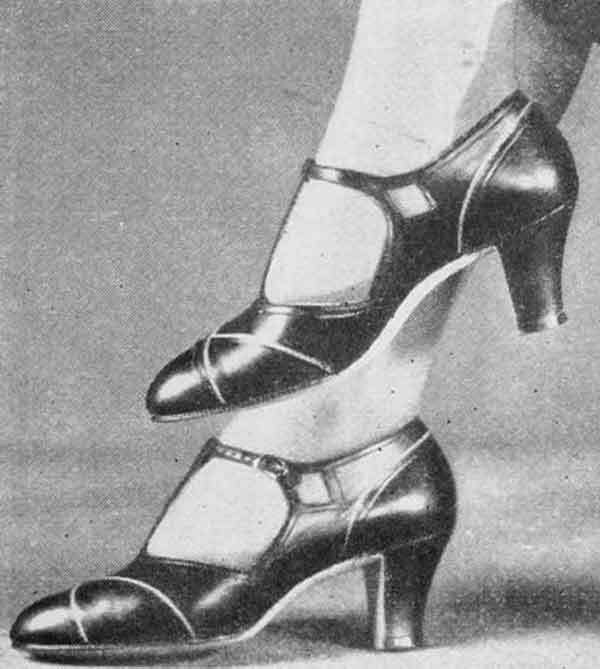 Try these silk stockings from Sears Roebuck. With fashionable seams and French heels, they look good in any pair of shoes. Heels, this season are news ! Spike heels are out. A lithe free carriage is the order of the day. Above, for formal afternoons, a T-strap pump in dull black, Java brown with narrow piping in contrasting color. For semi-formal daytime – a three eyelet tie with medium heel, in dull matt black or Java brown kid, with combination amalac and patent trim. 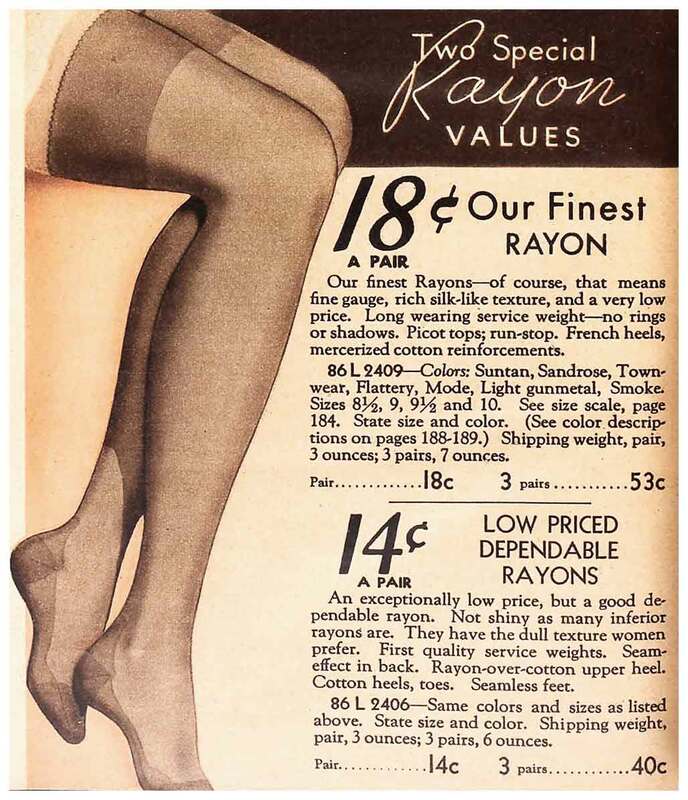 Low cost hosiery – again from Sears in their finest Rayon which boasts durability as well as sheer texture. Very flattering for those summer pins. For formal street wear, heels have reached a new low. Above, the four-eyelet oxford with percolation’s and asymmetric trim, in black with dark grey stitching or Java brown. For town or country, with tweeds, the oxford with broad fringed tongue is smart. Black, rouge surfaced calf with dark grey stitching; Java brown with cocoa. 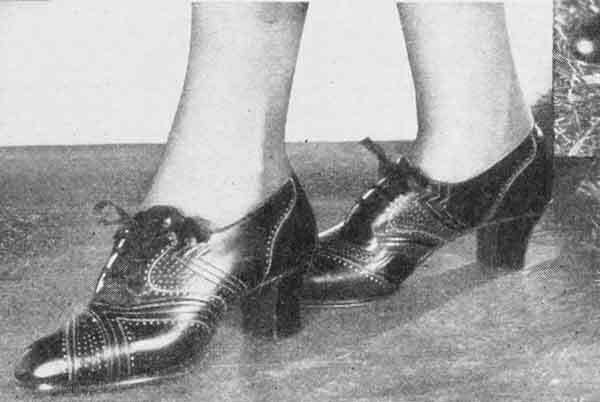 To wear as plain oxford, remove the tongue. 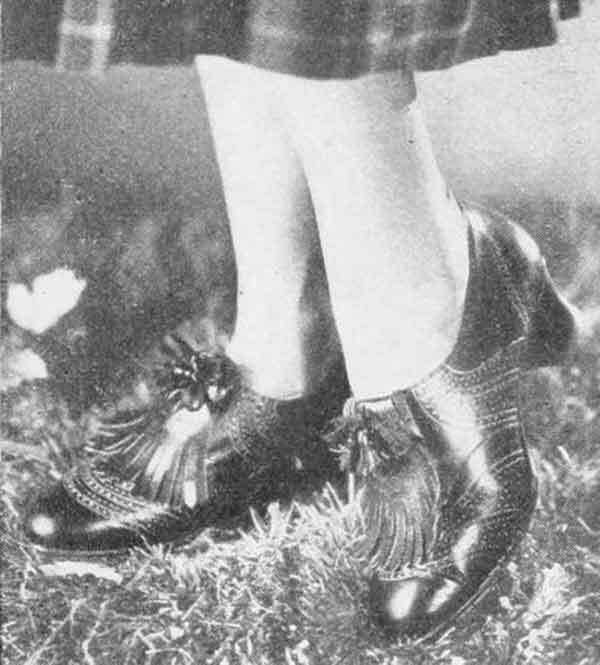 Originally published June 1936 Photoplay.